The Beatles visit Rank the Tracks for the fifth time. Isn't it good, Norwegian wood? Fantastic album top to bottom. It's only fairly recently that I started putting this in my top 100. "Isn't it good, Norwegian wood?" My #1 album of 1965. A classic... nothing bad here. Topically, this album is a hodgepodge, but perhaps mainly about relationships. There are some themes of freedom and self-expression peeking through this album, but for the most part, the subject material is pretty all over the place. The sound palette - a slightly folky, rickety and poppy sound, laden with harmonies - cements the songs together as an album. The sound is more mellow than the band's previous work. You could say this signals maturity, or maybe just an over-consumption of recreational drugs. I suppose I should say that this album and cover art are important to the counter-culture movement somehow, but I don't know enough to say anything about that. Over fifty years later, this album does sound a bit bland and simple. 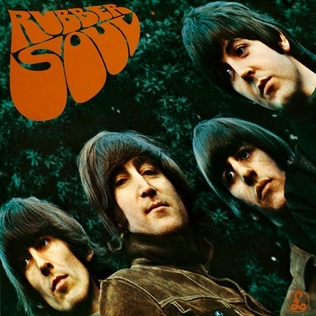 But I think this rudimentary framework is the blueprint for the half-century of pop music to arise since Rubber Soul's release. For one, I think this style of songwriting, verse-chorus structure with minute musical details sprinkled throughout every track, heavily influenced many artists including ABBA, who perfected this style. This album is also sort of a standard for adult contemporary music, an impact that is felt even today. Great "classic" songwriting, but it is really hard to rank them.